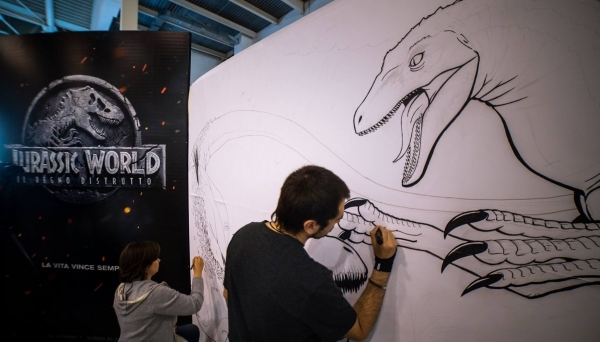 This weekend I will work together with Federica Messina, Willy Guasti and Bigger Boat, to an official art event where we will create a giant wall dedicated to Jurassic World: Fallen Kingdom. The art wall will show the creatures of the movie fighting eachother. More in this category: « Dinosaur Facts and Figures: The Theropods - pre-order now! Dinosaur Facts and Figures: The Theropods - pre-order now!